"Word for You", an evangelical news service in Moscow, is publishing segments of an amiable, non-threatening interview with Alexander Andreyevich Prokhanov. 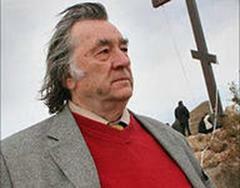 Prokhanov is a prominent rightest, nationalist journalist and author similar in conviction to Eduard Limonov, founder of the National Bolshevik Party. 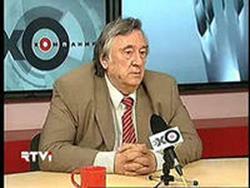 Repressed by the Yeltsin government, Prokhanov overcame censure in 1993 by founding a new national weekly, "Zavtra". He remains its chief editor. His work has often exhibited anti-Semitic tendencies and one of his more infamous deeds involved the hosting of the US-Nazi David Duke during a visit to Russia in 1999. Prokhanov is a great-nephew of Ivan Prokhanov (1869-1935), a major leader in the early Evangelical-Christian and Baptist movements. Alexander's father, Andrey, was the son of Ivan's brother. Alexander and Ivan never became personally acquainted, for the great-uncle died in Berlin three years prior to Alexander's birth in Tbilisi. Ivan's only son and Alexander's uncle, Yaroslav Invanovich (1902-1965), was repressed during the late 1930's because of his family connections. Yet Yaroslav continued on to become a prominent professor of botany and genetics. In the initial segment published on 27 May, Alexander explained: "I cannot say that I grew up in the Baptist tradition even though I heard Baptist psalms during my childhood. I remember the songs of my grandmother" (Ivan's sister-in-law). Alexander said he lived in an atheistic era and only found his way to faith later in life through Orthodoxy. 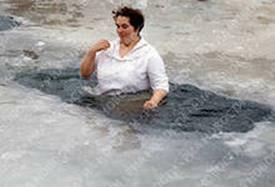 "I was baptised in the Orthodox church. But that does not prevent me from being proud of the fact that my genealogical tree includes a branch named Ivan Stepanovich Prokhanov." Alexander believes it was his great-uncle who "Russianized" the heavily-German, Baptist faith in his country. Those that recently are gone.